-Bexaretinyl complex: Exfoliating retinoid that boosts cell renewal while simultaneously possessing depigmenting properties that mitigate post-inflammatory acne-related hyperpigmentation. -Serenoa repens: Regulates excess androgen by inhibiting 5α-reductase. 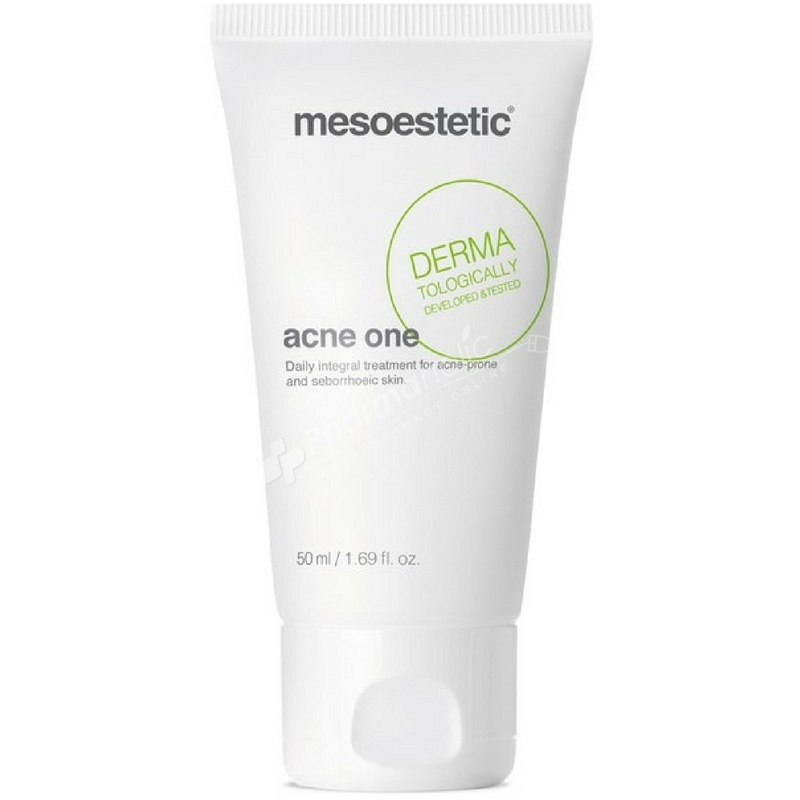 Apply a fine, even layer of acne one once or twice a day on cleansed skin, avoiding the eye contour and contact with mucus membranes. Subsequent application of dermatological sun protection SPF50+ is recommended in the case of exposure to solar radiation.